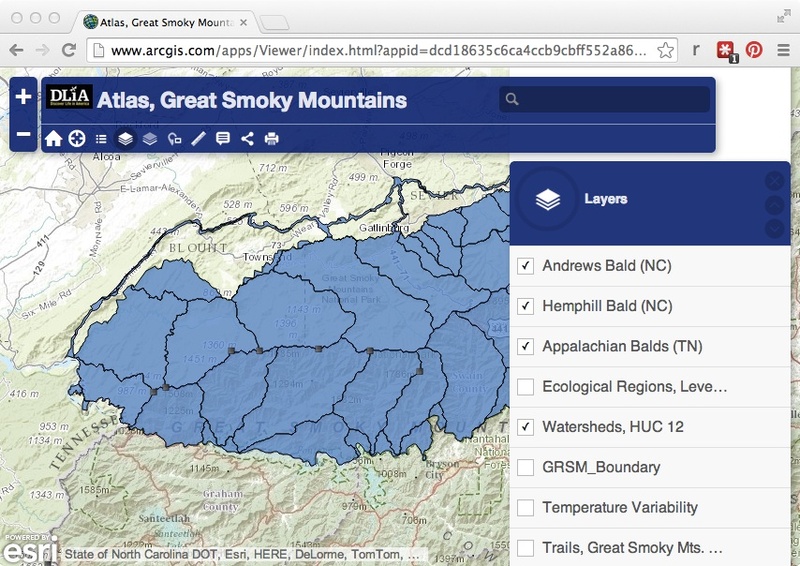 ArcGIS Online Atlas: Great Smoky Mountains N.P. HUC 12 watershed boundaries and interface to add layers. I’m interested in adding it to the DLIA site to provide something fun and interactive for site visitors to play around with. If I can figure out how to host KML versions of the species distribution models, it could also be useful for Park Service personnel as a quick reference that also has limited GIS capability. There are also applications for biodiversity science and cartographic education.